Sarah Harding is a charming English singer-songwriter and actress, perhaps best known as a member of the pop group, Girls Aloud. 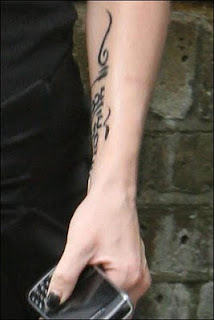 Sarah Harding has been seen donning a few tattoos recently, including a rather large Tibetan script inked on the inner portion of her left forearm. 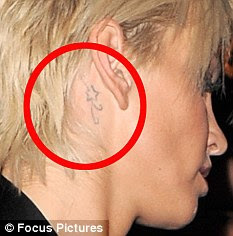 She has also been spotted with a new tattoo design located behind her right ear, which is a star design. And just last year she a small tattoo on her back removed by way of laser.